Tachycardia is a 60-plus year tradition. 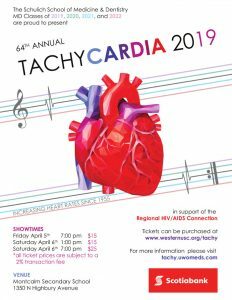 It is an annual musical and theatrical production that lets Western medical students give back to London and the medical community. 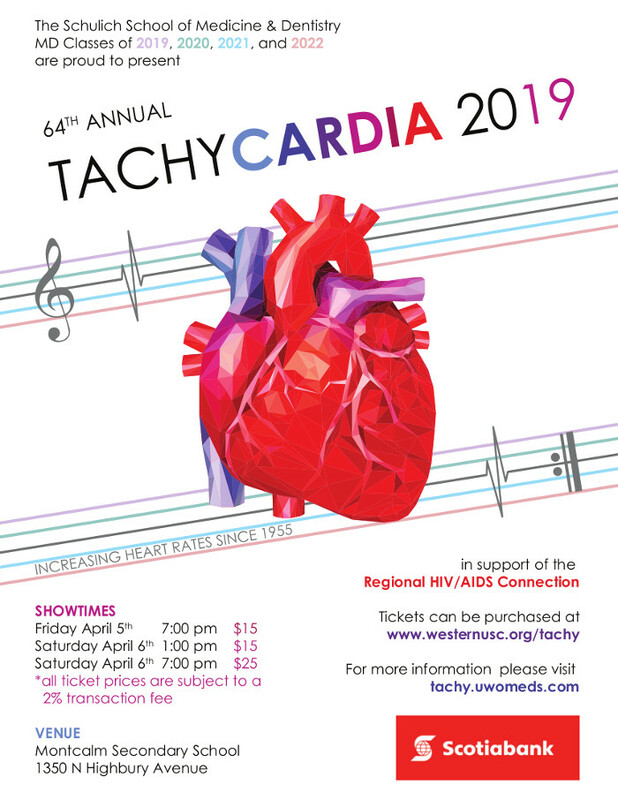 Since its inception in 1955, Tachycardia has given thousands of students a chance to showcase their musical and theatrical talents and help raise funds for charitable causes. The show is entirely written, directed, produced, and performed by medical students at the Schulich School of Medicine and Dentistry. It features music, comedy, and dancing, all with a medical twist. Tachycardia is regularly attended by not only students, but prominent university staff, professors, alumni, and physicians. Annually, our show has over 1,500 attendees across three runs of the show taking place over two days.